On August 28, 2017 I came home from the hospital from visiting my daughter. She's been ill off and on last 14 days. It was about 11-11:30 when I noticed a blue star-like light on the NE horizon. The blue light, while moving up and down, it got dim then bright, disappeared then appeared. 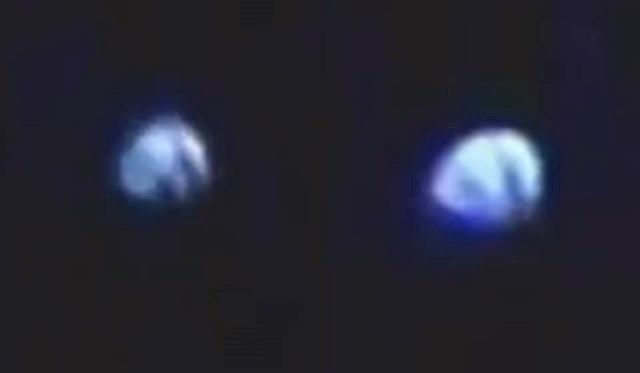 Then I looked to the NW sky and saw an almost identical blue object doing the same maneuvers. During the sightings my dog seemed to be scared as he made some weird unusual squeaks and noises. I recorded both objects but I really don’t know what I am looking at. Wow! What what your interpretation of this? Personal impression of an event is a key to understanding! I wish I could hear from the Hopi on this... Thanks for posting and I wish you all joy and love in this Fifth World.